Last week I had a boring blog post about fisheries science. It was a fundamental description of what a “fishery” is and how pointy-headed biologists manage fisheries. Part of the reason I posted that was because I wanted to lay some ground work for additional posts about other fisheries management topics. So, let me reconvene the Fisheries Science 101 class again today and talk about a subject that I believe is misunderstood by some. . . renovations. Let me start by defining some terms: When fisheries biologists use the term “renovation” they often are talking about a specific fisheries management technique–using the chemical rotenone to eliminate unwanted fish. 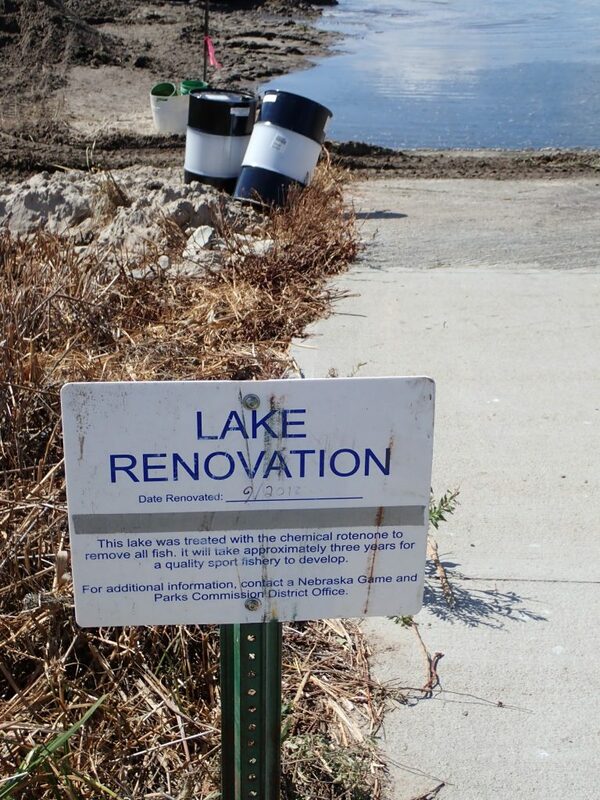 It would be more accurate in most cases to say “rotenone renovation” instead of just “renovation”. What is rotenone? Rotenone is a naturally-occurring chemical used in some cases as an insecticide and also as a piscicide–a fish control agent to kill fish. The active ingredient is derived from the roots of certain tropical plants. Interestingly, I remember watching a Jacques Cousteau special on the Amazon where they documented natives taking the roots of certain plants to the local fishing hole, and then stomping on the roots in the water to release plant juices which then killed fish for their next feast. The natives knew about rotenone! Rotenone does NOT kill fish by coating their gills or removing oxygen from the water. Rotenone kills fish by interrupting the uptake of oxygen at the cellular level–it is a biochemistry thing. Most other living critters are not susceptible to rotenone. 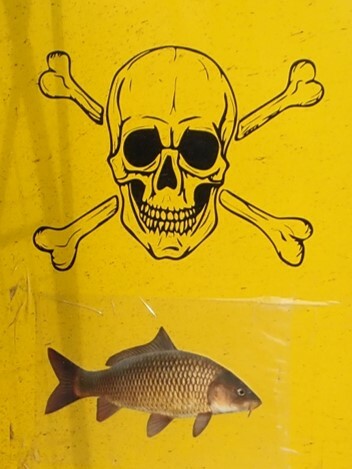 Different species of fish have different sensitivities to rotenone, but at a certain relatively low concentration, all gill-breathing fish will succumb. There is a lot more you can learn about rotenone, if you wish, by referring to this FAQ sheet prepared by the Oregon Department of Fish and Wildlife. One paradox of fisheries management is that sometimes the best thing that can be done to improve a fishery is to kill fish. Kill ’em all! 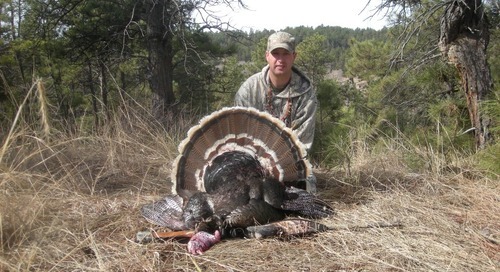 Because in the wrong environment, even some of our most popular sport fish are unwanted fish. Yes, in some situations even largemouth bass and walleyes are unwanted fish. 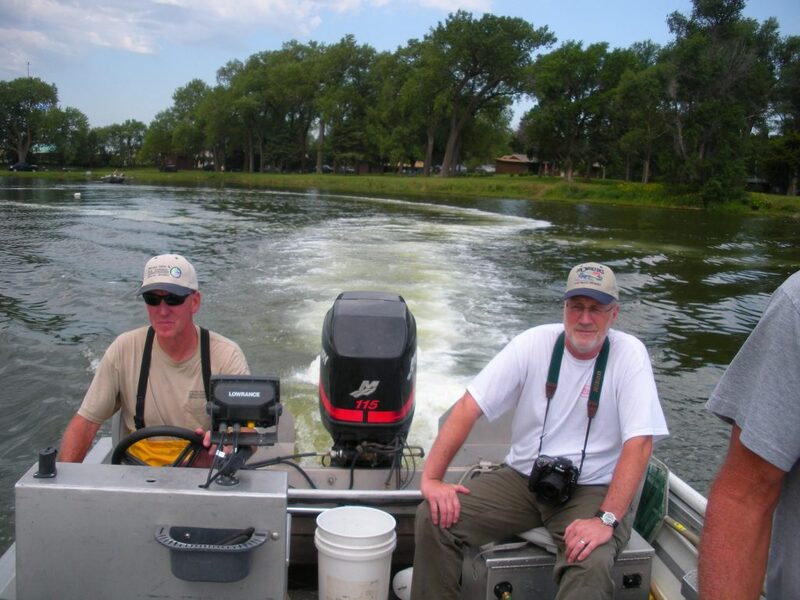 In Nebraska, rotenone renovations are most frequently done to eliminate carp, suckers, white perch, black bullheads, gizzard shad, and in some situations, over-abundant populations of slow-growing panfish. Are carp, suckers, black bullheads, white perch, gizzard shad and stunted panfish evil, “devil” fish? No, and in the right environment I would argue that almost any species of fish can be a sport fish. In the right environment, gizzard shad are an excellent prey fish. On the other hand, in the wrong environment those species can dominate fisheries, dominate to the point where there are very few desirable fish left. 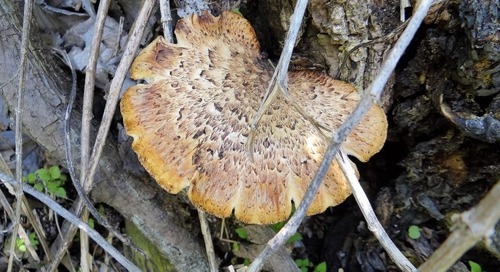 Those unwanted species also often have negative impacts on water quality and aquatic habitat reducing the ability of a fishery to produce the fish that most anglers would prefer to catch. However, I am NOT saying that there will be no desirable fish left in a fishery when a rotenone renovation is planned. In fact, there may still be a few, big, fat predator fish present, fish that are “fat and happy” feeding on the abundance of rough fish, panfish or prey fish that might be dominating that fishery. There even may be a few avid anglers who still are catching those few, large sport fish as a fishery declines to the point where a rotenone renovation is warranted. 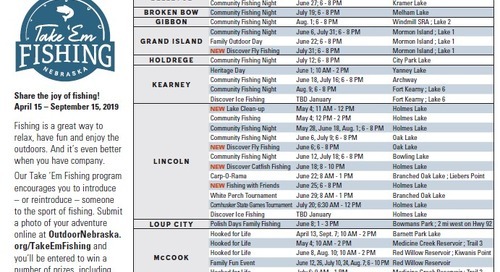 There is no doubt that there will be some sacrifice made by anglers as a fishery is “out of commission” for a few years following a rotenone renovation. There even may be a small population of anglers forced to sacrifice some opportunities to catch a few big fish. BUT, in terms of overall angler use, and in terms of the overall long-term health of a fishery, there will be no comparison between that fishery before and after a renovation. 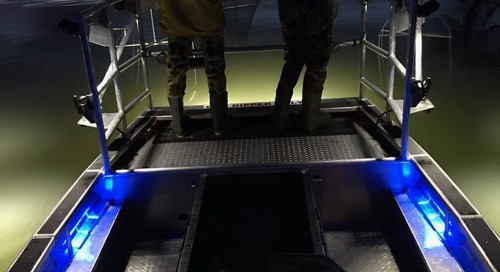 When considering total angler use and benefits provided, even though rotenone renovations are not inexpensive management activities, they provide much more benefits than costs. Fisheries managers do not make the decision to perform a rotenone renovation on a whim. Rotenone is not cheap. Fisheries usually are not producing anywhere near their potential when a decision is made to apply rotenone. However, there can be circumstances when it is opportune to do a rotenone renovation even on a fishery that has not bottomed-out. 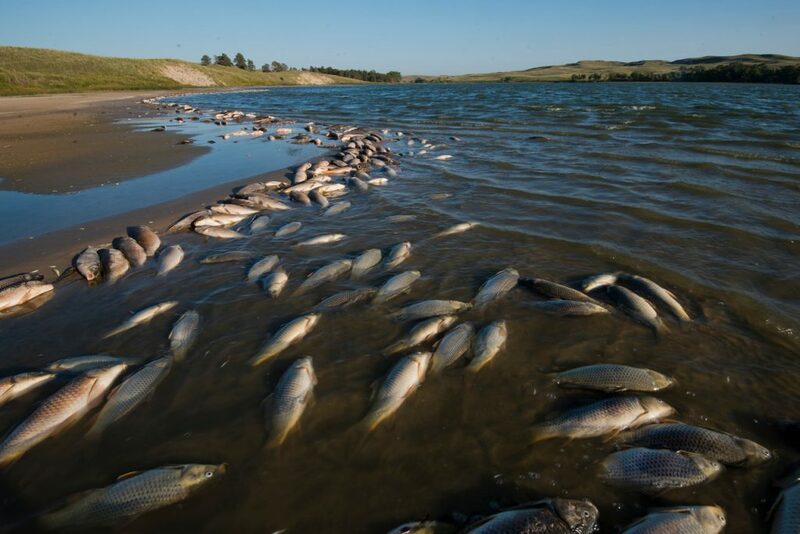 For example, during drought conditions water levels may become so low, and water quality so poor that the only species that thrive and survive are unwanted species like bullheads and common carp. When that occurs, low water conditions are perfect for applying rotenone because there is less water to treat and the fish are more concentrated and susceptible to a rotenone renovation. Rotenone renovations are NOT an admission of failure! The management of a fishery was NOT a failure when a rotenone renovation is needed. For some fisheries, occasional rotenone renovations have been and should continue to be part of the fisheries managment plan! Several years of quality fishing can be produced in between rotenone renovations, and it is well-worth the cost of those renovations and the sacrifice of a few years of fishing opportunity. Likewise, rotenone renovations do not necessarily mean that no unwanted fish will ever re-appear in a fishery. If unwanted species do re-appear, again, it does NOT mean that a renovation was a failure. At the least, rotenone renovations are like “controlled burns” for terrestrial habitats–they set back succession and release productivity. Renovations almost always include as much of the watershed as possible, and will include private waters where permission is granted to apply rotenone. However, in some cases, rotenone renovations may be done even while knowing that there might be some private water in the watershed harboring unwanted species that may re-invade. Some private water owners just plain do not allow rotenone renovations of their waters. In those cases, fisheries managers have the choice to do nothing, or do what they can, and even if rotenone renovations are needed periodically, they can provide several years of quality fishing in between renovations. Most of the time, rotenone renovations will eliminate all fish. However, with different sensitivities of different species to rotenone, fisheries managers at times try to use rotenone to do “partial renovations” by applying lower dosages of rotenone. Gizzard shad and white perch are very sensitive to rotenone, and in Nebraska, partial renovations of some fisheries have been very successful at limiting if not eliminating those species. It should be noted that when partial renovations are done, fisheries managers know there will be some “collateral damage” where some non-target fish also will perish. That might be regrettable, but worth the sacrifice when the surviving or re-stocked desirable species have less competition, better water quality and better habitat following a partial renovation. Why kill all the fish in the usual rotenone renovation? Couldn’t the unwanted fish simply be removed? Fisheries management has a long history of failed removal projects. The problem with those efforts is that it is impossible to capture every last unwanted, detrimental fish, and survivors can quickly re-populate. Continual removal coupled with increased densities of predator fish may offer some benefits, but those efforts also are expensive and have a lower chance of success than a rotenone renovation. In the long term, usually it is quicker and cheaper to do a rotenone renovation and re-stock if that management tool is an option. Rotenone renovations have been a very valuable fisheries management technique employed by fisheries managers over the years. 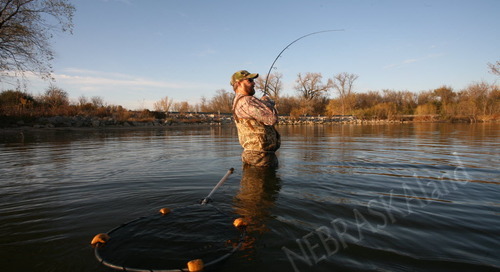 Renovations have provided and continue to provide countless hours of quality fishing opportunities for Nebraska anglers, and that fisheries management technique will continue to be an important tool for Nebraska’s fisheries managers. The post Renovations appeared first on NEBRASKALand Magazine.